Thank god you are getting more. 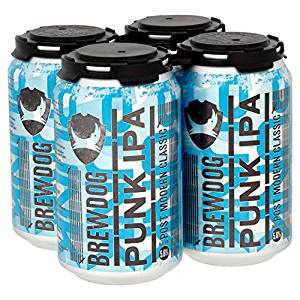 Do you think anyone would be foolish enough spark up a bong whist drinking that beer? i love guinness and scotch ale but can only drink so many ya know? 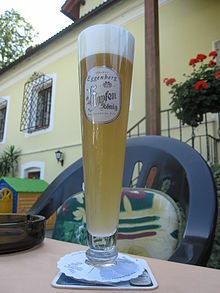 One of the most satisfying drinks I’ve ever had is a pils on draft in Germany (Bavaria) in a tall conical glass with a short stem, with glass so fine it almost would cut your lip. Very chilled on a hot day. Blinding. It works especially well if the rim of the glass is sharp for some reason. Yeah, a good pilsener on tap is hard to beat . But really, my favorite Seattle brewery is easily Reuben’s. Every beer they make is incredible. Might kick tonight’s proceeding’ s off with an Ice Cold Asahi super DRY, Japan’s No 1 Beer apparently . I miss beer, but one of our local breweries came out with a gluten free one that actually tastes like beer. I have been drinking it non-stop. I thought Sierra Nevada made a pretty good gluten-free beer. Doesn’t mention it being gluten free though on their site. Having a pretzel wheat beer. The burps are heavenly. 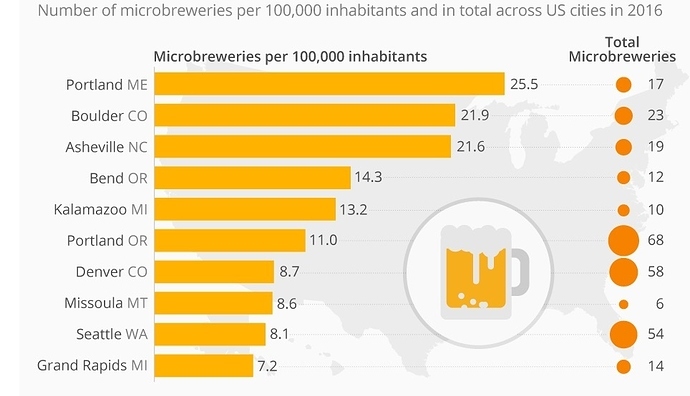 We got more microbreweries than you… but barley. We have so many here I’m surprised to see us so far down the list. Yeah, holy crap we’ve got a brewpub on every damn corner downtown it seems like and they’ve got about twice as many per person. But look at all the ones in Colorado, Oregon and Washington - states that are “green-friendly”. I keep thinking Michigan will be next and then Kalamazoo and Grand Rapids will become a destination for Bake-ations®. I now have to live vicariously through threads like this and watch my friends. Got sober as of 12/24. It’s rough but it’s for the best. I miss nerding over beers. I’m loving the Anchor Steam in bottles at the moment. It’s my new jam. does it allow you to feel zero guilt in your workplace? is that a reason? SORRY. not trying to pry or don’t know if you posted earlier about it and i missed it.